In the midst of all this merriment, Castella and Stone actually teach you about baking with alcohol and share quirky anecdotes and historical facts. Did you know ancient Egyptians drank beer? Or that booze doesn't simply evaporate in the oven? Or that you should never attempt to use a Kitchen-Aid mixer while downing rum? Perhaps their best piece of advice is this: Relax and have fun. Everyone needs a good "visiting cake" during the holidays -- easy-to-make, portable, delicious -- and this one is yours. It's moist, buttery, and mildly sweet, and pairs perfectly with a cup of tea of coffee. Or a shot of rum. 1. 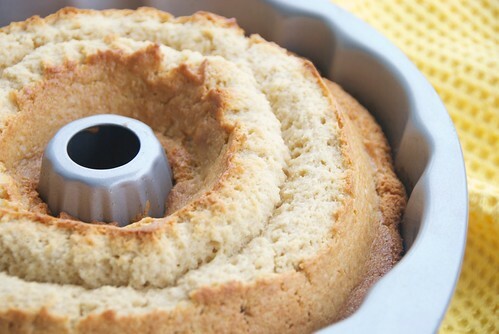 Preheat oven to 350 degrees F. grease and flour a 9- or 10-inch Bundt or tube cake pan. 3. Combine flour, baking powder, baking soda, and slat. In another bowl, combine milk vanilla, and rum. Beat flour mixture and milk mixture into the butter in three alternation additions. Pour batter into the prepared pan. Bake 1 hour, or until golden brown. 4. For the glaze: Melt butter in a saucepan over low heat. Stir in sugar and 1/4 cup water and bring to a boil; cook 5 minutes, stirring constantly. Remove from heat and stir in rum. 5. Place cake on a serving platter. Slowly pour glaze over top and sides until completely absorbed. Dust with confectioners' sugar. In full disclosure, Booze Cakes is published by Quirk Books, the same publisher of my books, Recipes Every Man Should Know and The Encyclopedia of Sandwiches. I wrote this post of my own accord and was not compensated for doing so. I just love the book. What an awesome idea for a cookbook. That'll make a great gift too. Lovely cake! Thanks for mentioning our book, Susan! Your cake looks delicious. Cake and booze are my two favourite food groups! My family will back me up on this claim (as I sing to the Christmas cakes each week as I douse them with more brandy). I was just thinking about you today, as I was testing out some potential Christmas cookie recipes. I can't believe we're at Thanksgiving already-yikes. Hi Susan! I just wanted to let you know that I have reviewed your cookbook on my blog :) Thanks for letting me (my husband, actually) get a review copy. Actually... thank you for getting my husband in the kitchen. I really do hope that he makes more of the dishes in your book! Ooohhh..I love rum cake, but have never amde it myself. Thanks for sharing, and congrats on your new book! sharon-It's a great gift book! goody-Hehe. X-mas cookies already? I know. It's hard to believe. roxan-One at a time, we'll get those guys cooking! Thank you for your support! edye-Oh, good. I'm glad you liked it. OMG... so I probably have an Original recipe for this rum cake from the late 70's-early 80's. These cakes were ALL the rage. There was a Harvey Wallbanger cake that we used to make all the time - it used orange cake mix. WOW ... totally brought back memories of college and when I was first married! 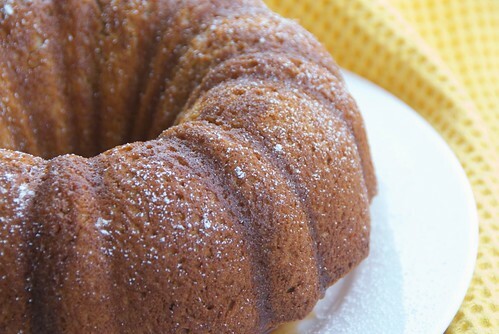 rum cake is a great idea, thanks for the share! !